It's Salt Awareness Week 2013. Whilst some are calling for "Less Salt Please". 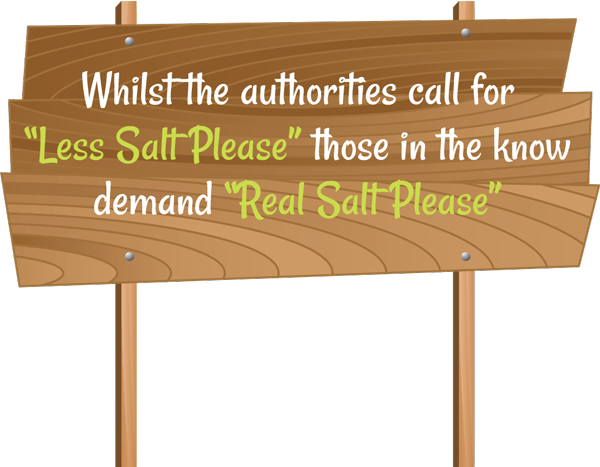 Those in the know demand "Real Salt Please"
Life literally depends on Salt, without it, life cannot exist. So where did it all go wrong? Why are we eating toxic sodium chloride? What's the solution? We are eating the wrong salt because its a cheap product needed by modern manufacturing. Salt for food purposes accounts for just 7% of the World’s production. Little wonder then that salt has become one of the most desecrated, and misunderstood of our food treasures. Celtic Salt is the solution. This is a real, full spectrum salt that is an absolute foundation for good health. 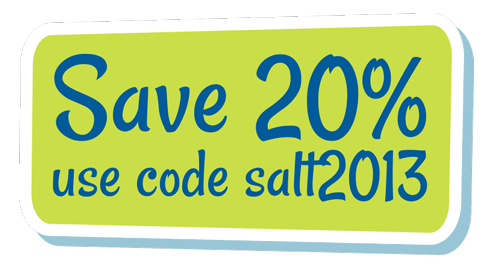 So this week, you can give this wonderful salt a try, and save 20% - use the code salt2013 (11th - 17th March). The Coarse Celtic Salt is by far the best value and we recommend this for general use for cooking AND health purposes. It is packed with minerals and trace elements and incredibly good for you. If you wish to use a grinder Dried Celtic Salt is the only option, the nutrition is the same, it's just dried for longer, this does of course affect cost. The Fleur De Sel Salt is naturally very fine and easy to use. It is rare, and probably the most expensive salt in the world. It has the same unique nutritional properties, but they only gather a kilo per salt marsh, at a particular time of year, when the wind blows a certain way! Why did a life giving substance became such a toxic force in the modern lifestyle? And why did one of the most complex substances on the planet become known simply as chemical Sodium Chloride? Jacques de Langre PhD, a Californian biochemist studied Celtic Salt for over 30 years and his two books “Seasalt’s Hidden Powers” and “Sea Salt, the Vital Spark for Life” are well worth seeking out for an in depth look at the health benefits of this wonderful salt. You can read an interview with him here. We sell a few types of Celtic Salt to ensure we meet all customers needs. But sometimes it can be a little confusing! This article looks at the different uses, and which salt work best, so we look at health and remineralising, cooking, fermenting, oral health, bathing and dandruff! We are often asked how Himalayan Salt compares with the Celtic Salt. It is a valid and interesting question, and one we thought we should cover in detail. A philosophical and scientific discussion!